I didn't get to see any multiplayer during this particular demo, but Ubisoft has said in the past that Liberation's will be "tailored" specifically to the PS Vita's strengths. What that means is anyone's guess, though we'll be happy to have a multiplayer AC experience on the go no matter what it is. 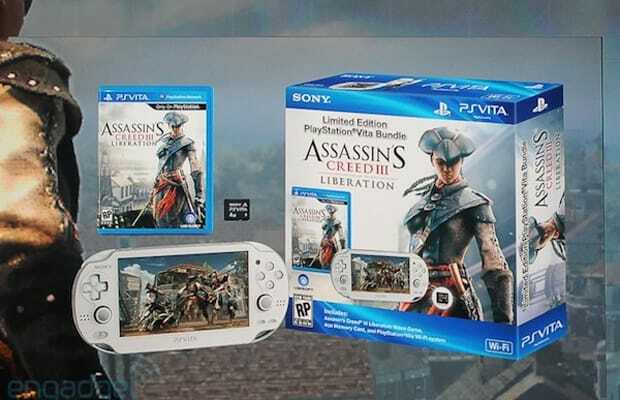 We know from past announcements that Liberation will take advantage of the Vita's rear touch pad and front touch screen, gyroscope, and camera, but we're not sure how all of these will fit together, or whether they'll be utilized by Liberation's unique multiplayer mode. Got any guesses? How do you think the game is shaping up so far? Tell us in the comments or on Twitter.